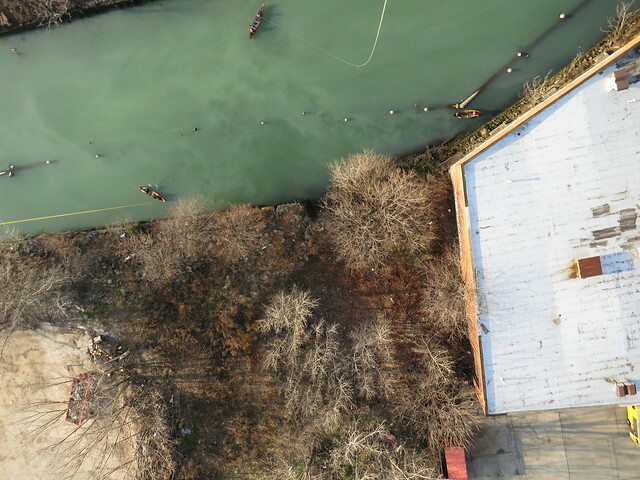 As part of the New York City’s commitment to the new [[http://green.blogs.nytimes.com/2012/06/22/new-york-mandates-alerts-on-sewage-discharges/|Sewage Right to Know Law]] passed in June 2012, Grassroots Mappers followed up on observed milky plumes seen on aerial balloon photographs taken of the Gowanus Canal waters, a heavily polluted federal Superfund site in Brooklyn. The New York City Department of Environmental Protection responded promptly to community inquiries within 24 hours. At the 5 December Water Quality meeting, the New York State Department of Environmental Conservation told the public that New York City’s Department of Environmental Protection had notified them of a major sewer spill into Canal waters, due to the 29 October Sandy flood damage that disabled the Flushing Tunnel temporary pump station. Is neighborhood's sewage is still flowing directly into the Canal 6 weeks after the flood damage event? No, the neighborhood’s sewage is not still flowing directly into the Canal. As a result of loss of power due to the failure of a ConEd transformer, and damaged sustained to the pumping station’s generator during the storm, the Gowanus Pumping Station was offline for approximately 33 hours between 10/30/12 at 6:30 AM and 10/31/12 at 3:25 PM. It took a little over 1/2 hour to pump down the sewer system and the overflow to cease - the overflow ended at approximately 4pm. While offline, approximately 13MG of bypass discharged into the Canal. Please remember many areas of the City were still shut down on 10/30 and it was difficult to get contractors to the site. Some investigative work was performed on 10/30 and the temporary repair work was performed on 10/31. DEP was able to connect a pump to the generator and restore pumping by 10/31. This required constant monitoring as the pump was being operated manually. A few days later, DEP was able to restore power and automatic controls to both pumps. However, as of today, DEP is still operating off of generator power as ConEd power has not yet been restored. Please see the press release that DEP issued on 11/3 for additional information about pumping stations and wastewater treatment plants affected by Hurricane Sandy: http://www.nyc.gov/html/dep/html/press_releases/12-86pr.shtml. The milky floating sediments observed on the Canal by Grassroots Mappers where flowing out from the head of the Canal with the outgoing tide. There had been no heavy rains in the prior week. Heavy rain is the primary cause of the averaged 1.5 million gallons a day of diluted sewage the Canal receives. A possibility is that what is being observed are bacterial blooms from residual sewage, rather than freshly discharging sewage. 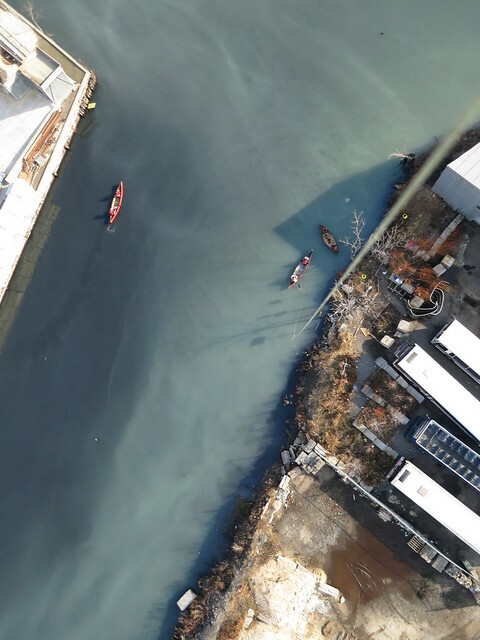 Similar bacteria blooms have been observed on Newtown Creek, another heavily polluted New York City site. There, the whole water column was milky, and in this case, as can be observed from the wake left by the canoes, only the surface waters of the Canal seem affected by the milky substance. Really stunning images, you guys - super super sharp. And a breathtakingly different look to the water -- really concerning. Hey Eymund, Did you get any sense of how deep the upper milky layer on the water was on the 15th and 16th? It does look totally different than the "whiting event" we saw on Newtown Creek last year as you write in this note, during which the boat left no visible wake because the milkiness was fully distributed in the entire water column. In your images, it's very clear that the layer of milkiness was "on top of" clearer water -- perhaps because the milky layer was warmer sewage, or contained more buoyant particles, or ... ? 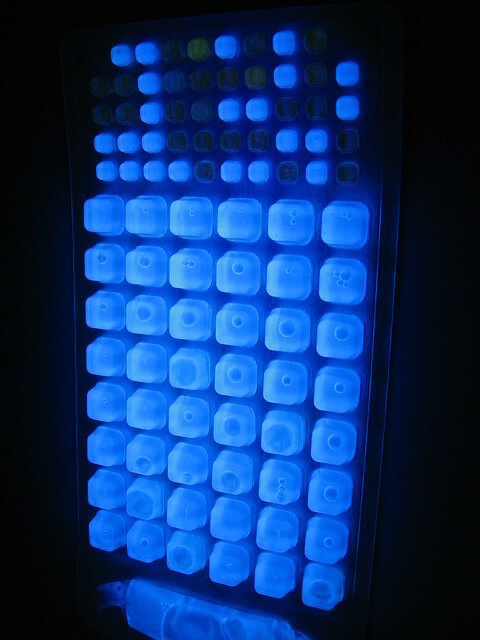 It's wonderful that the River Project tests citizen-collected water samples every week at waterways all over NYC. I wish we had a faster bacterial test we could do ourselves on site during these canoe-based mapping parties!